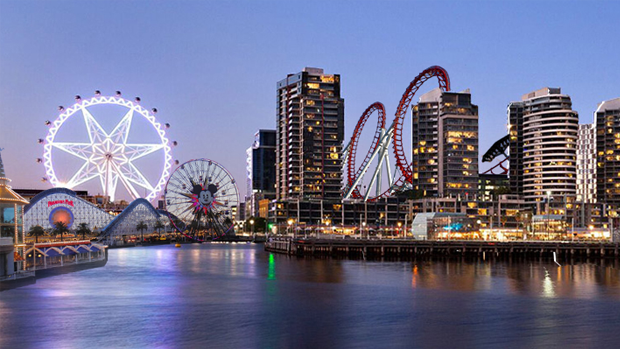 Melbourne needs a new proper..
Melbourne has nothing going for it on the theme park front. Sure, we have Luna Park, but it’s over 100 years old and ‘a bit under whelming’. Herald Sun Columnist Rita Panahi put the idea on the table during her weekly segment on Tom Elliotts show. ‘Artists’ impression of a new theme park in Docklands. Is the weather the reason why we don’t have a Movie World or a Dream World? Surely not. Rita says Docklands could be the ideal spot for a new ‘Disneyland’.